This Italian necklace features a diamond-cut cable design in 14k yellow gold, 1.4mm wide. It is 24-inches long and secured by a spring ring clasp. 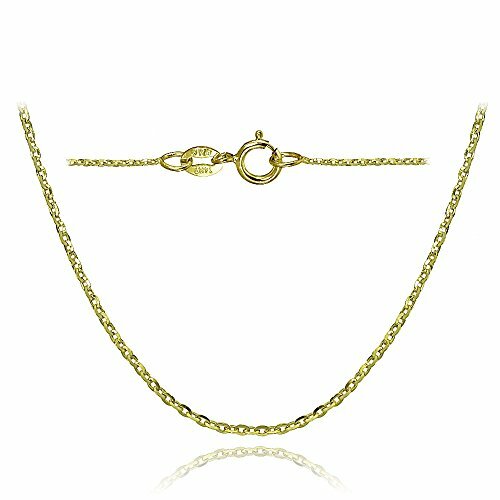 14k Yellow Gold 1.3mm Baby Rope Chain Necklace 18"
14K solid white gold 1.6mm rope chain necklace 22"
14K Solid Yellow Gold 1.5mm Diamond Cut Rolo Cable Chain Necklace with Lobster Claw Clasp- 18"